I took this photo of the Cottlesloe groyne at Cottesloe Beach. It is amazing how the camera is able to capture colour and textures one cannot see with one’s naked eyes. We are so blessed that in Perth we have such spectacular sunsets! 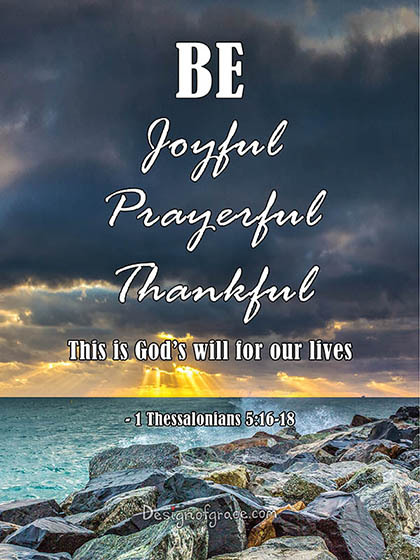 The quote was inspired by a sermon by Nick Scott who preached on 1 Thessalonians 5:16-18. May this print inspire you in your walk with God. Click here to own your very own 8 x 6 print now! This print design is also available for purchase as a print of any size you require up to 20 x 60! Your orders can be ready within a week! Ps: This image above is the low resolution of the print. I feel that God has put on my heart to create this Inspirational series for many years. Before I felt incompetent as I didn’t have the skill or photos.. I now have the know how and my own photographs from all over the world of various subjects in nature.My designs have grown to these beautiful light weight 8 x 6 s foam mounted prints. I would love to hear from you if these prints [photo and bible verse, feeling text and encouraging word] below inspires you when you are feeling tired, anxious, confused, fearful, and complaining? What sort of images would help you through such times of difficulty? What bible verses works for you during such difficult times? What is your life season’s verse?